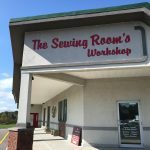 The Sewing Room’s Workshop is proud to be your local upholstery and clothing alteration shop! We can reupholster your existing furniture pieces, create new cushions, pillows, window treatments, and more! We are also skilled in clothing alteration and repair, so stop on by!